When it rains it pours around here! Look what else was in my mail box today. 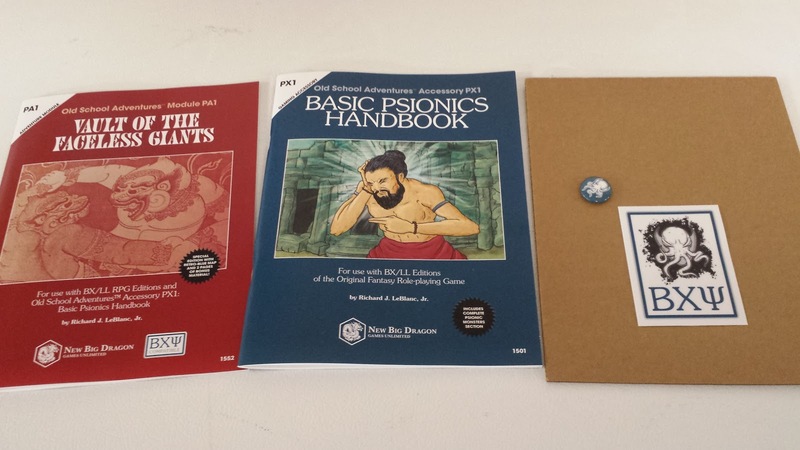 A collection of Basic Psionics books from +Richard LeBlanc including a sticker and a pin. Alpha Blue and Liberation of the Demon Slayer from +Venger Satanis! Looks great with the batch I got on Saturday. Now to come up with something that ties all these together! Though I do want to point out that the Basic Psionics and White Star books have been BEGGING me to mix them up into something different. 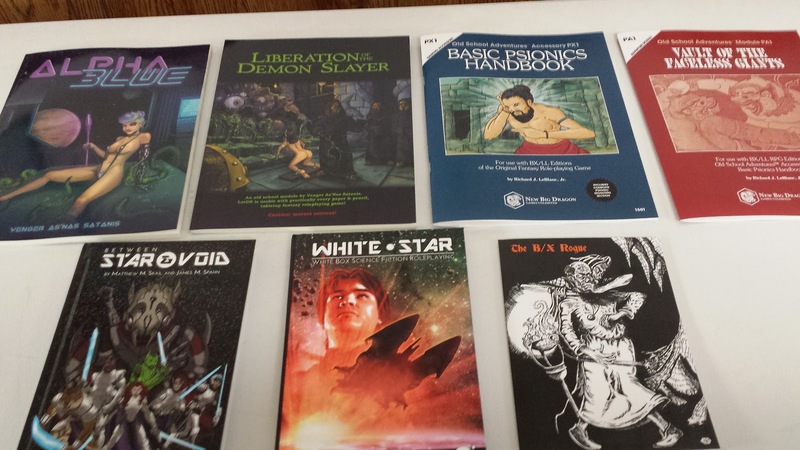 I already talked about how well the B/X Rogue and the Psionics books work together.